The Nordwand Light Mid GTX is a nimble beast of a boot. 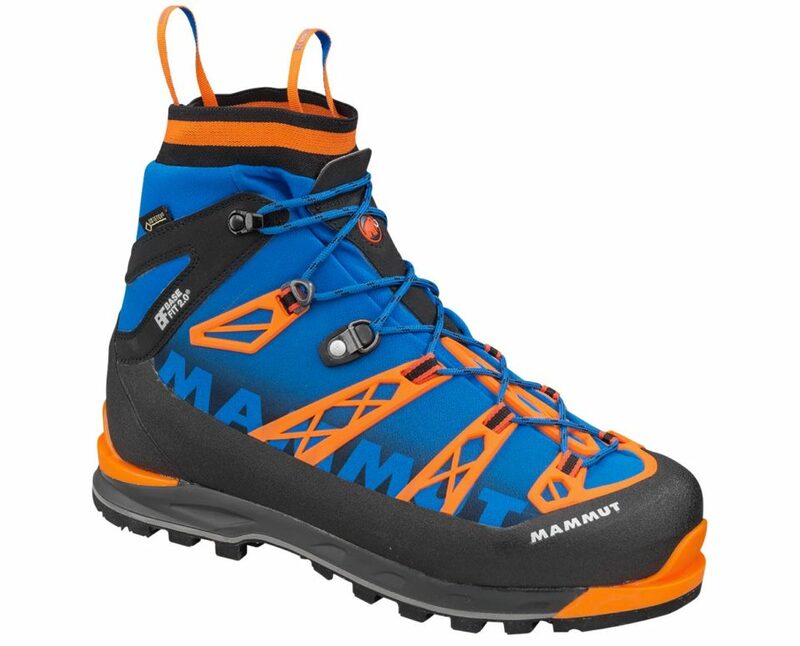 Winner of the ISPO in the Outdoor – Hiking and Trekking shoes category, it’s the lightest fully crampon compatible mountaineering boot Mammut have ever made. Built for unbeatable speed in high altitude terrains, the Nordwand blueprint delivers everything an alpine athlete could demand from their footwear. And all with an ultra modern look and feel to boot. Pace, agility and balance aren’t just critical for competitive performance. Out in the world’s toughest environments, these traits often make another crucial difference – between safe navigation and falling dangerously short. You can see why Mammut have worked so hard to reduce that maximum weight. But there’s more to these boots than their INSANELY light 645 gram reading on the scales. Mammut pulled out all the stops with this one and, keen to do the Nordwand justice, brought together a selection of progressive features that have elevated this shoe from great, to out of this world. The Nordwand is an eye-catcher. No doubt about it. 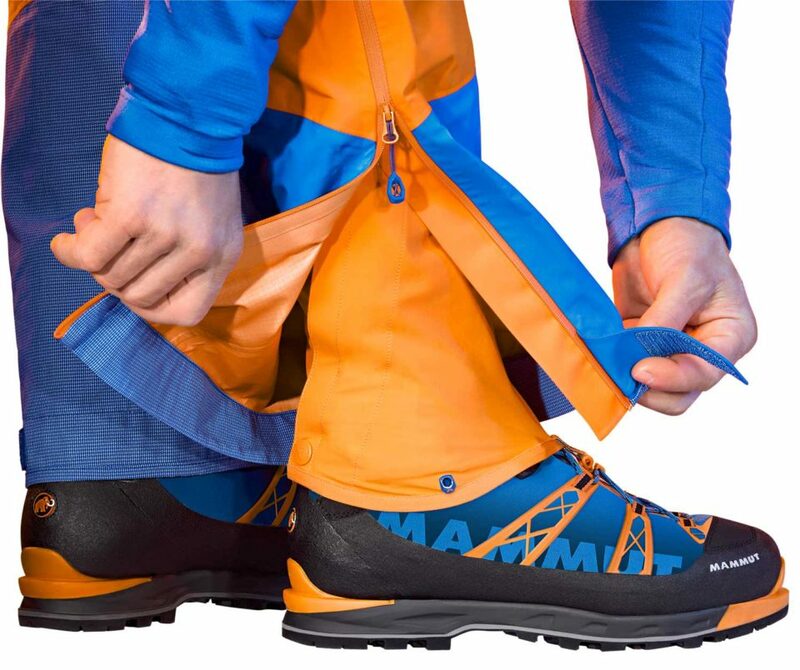 For us, the blue/orange/black design is a bit of a curveball from Mammut. It’s completely different from anything they’ve tried before; you can tell they’ve had some real fun with this one, and we’re all about that! You’ll notice the two elastic pull hoops and thick cuff at the opening of the shoe. This Easy Entry System can be operated even while wearing your thickest pair of winter gloves. A truly intuitive addition, it completely eliminates any need to expose your fingers to severe or dangerous weather conditions. Another feature that instantly demands attention is the Michelin outsole. Inspired by Michelin Winter Rally Tires, it’s built for speed and precision, while maintaining the premium durability and ground control we’ve come to expect from Michelin technical soles. Brand new Fiber Lite technology uses a high temperature compression molding process of textile fibers to create a thinner, lighter sole. Lightness is the next progression in mountaineering footwear, and here you’ve got a sole that weighs up to 40% less than conventional soles! It doesn’t stop there either. 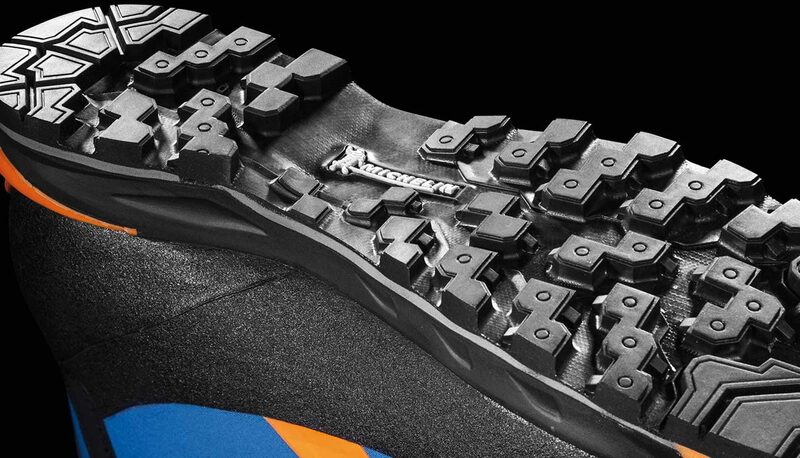 With deep-set lugs and a larger ‘climbing zone’ for traction on steep slopes, the Nordwand outperforms any alternative in high alpine terrain. 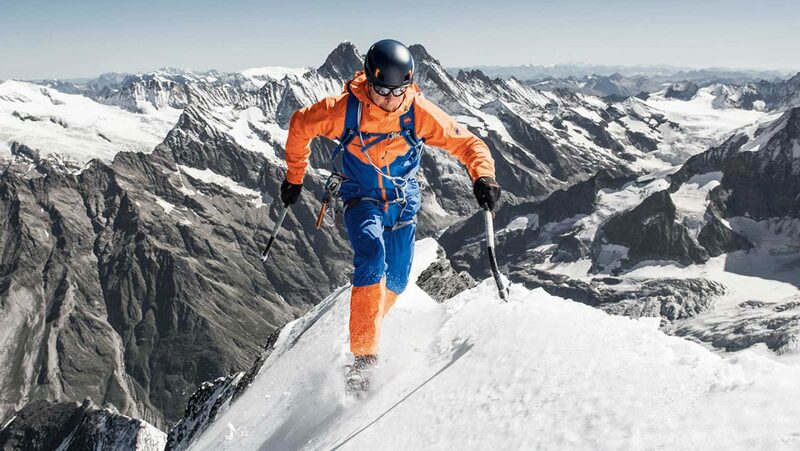 Mammut stamp their ‘absolute alpine’ promise on all their mountaineering footwear, and the Nordwand is no different. Combining brand new technologies with proven components and a truly unique design, this shoe is about as ‘complete’ as they come. With its lining and padding system, the Nordwand furnishes faultless insulation right the way down to -25°c. Or, in other words, it offers total protection against the cold. Contact Control® carbon inner soles are reinforced into the midsoles. This further reduces density and weight, and increases stability and overall control – so you use less energy and recover quicker for your next trip into the mountains. We’re also big fans of the Memo Foam cushioning. Delivering individual fit around the heel, maximum comfort and unmistakable support. Combine all of that with Base Fit 2.0® technology, and doubled heel straps at the back of the boot, and Mammut have found a failsafe formula. One that prevents pressure points and protects the wearer from frustrating blisters. You really get a feel for that Mammut alpine standard. These shoes are second to none. One of the lightest mountaineering boots available anywhere, the Nordwand is agile and brilliantly adaptable. Fair to say it has all the earmarks we’ve come to expect from even the most resilient alpine footwear. Rigid, yet comfortable. Smart, supportive, and packed with traction. This shoe will have you bagging peaks with complete confidence.